Another custom quilt. This bad boy is big, sized for snuggling in the cool, fall Washington weather. 100% cotton fabrics and batting. 100% Robert Kaufman Kona Solids: white, ash, coal, curry. Extremely elegant. Simplicity rules. Well done. I love the simplicity of the design. The pop of the binding is the perfect finish! The yellow binding is the perfect touch. This is an elegant quilt. Love it so much! It truly looks like gingham. The colors are perfection. xo. I found your quilt through Pinterest and then realized you were in Kalamazoo, which makes me love you, and this quilt, a thousand times more. It is beautiful and is definitely going on my craft to-do list. Hometown pride! Simply beautiful--any chance you'd share what you used for the backing? My curiosity is getting the best of me! Thanks for sharing. Such a lovely gem! Perfect for autumn! This is so, so lovely. I have been wanting to make something super special for camping with my family is this is absolutely perfect. Thank you so much for sharing! 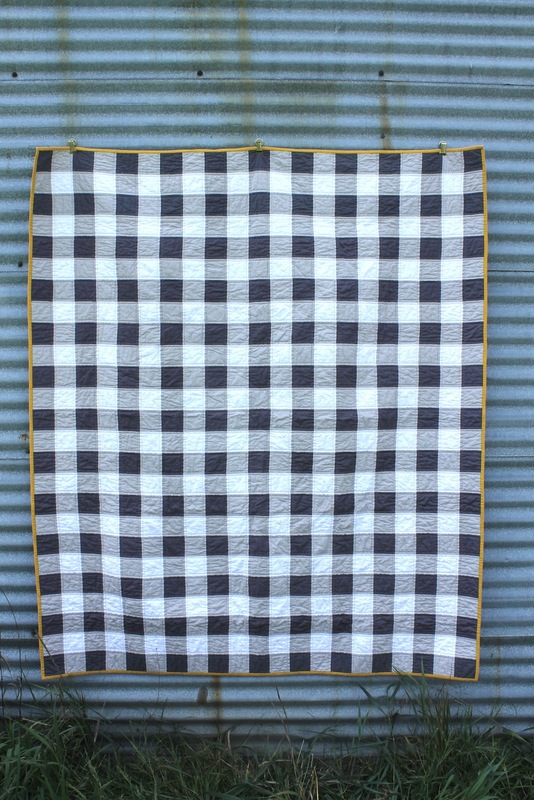 I am in love with this gingham quilt! Sometimes simple can be SO dramatic! Can you share the size of the finished quilt? Thank you! I just found your blog and amazing quilts via pinterest. I'm in love. I will be attempting this in a baby size for a new nephew.... do you have any tips or pattern help you would like to share?? I was already thinking this would be the color theme but only really had a girly inspiration to go with so I am thrilled you put up the gingham in these colors!! Thank you so very much...it is time for me to start. Did you follow a pattern? Oh, that is gorgeous! Curry is one of my favorites! It is such a beautiful yellow. I would love to purchase this pattern from you. 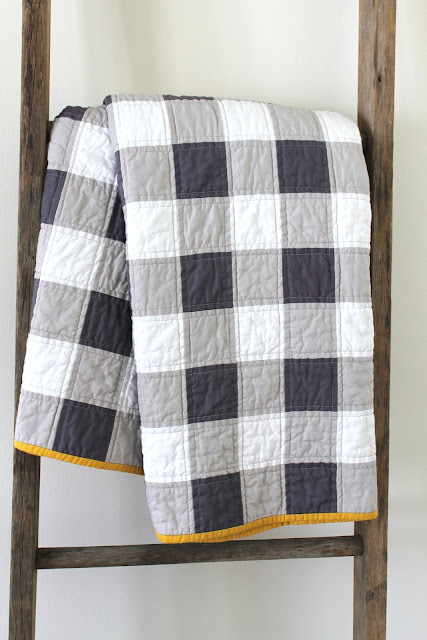 I want to make this quilt for my husband as a Christmas gift! This is so beautiful. How big are the squares? Beautiful, I would love to make this for my son. I would love to purchase this pattern from you. Did you use a pattern? Or can you tell me what size the squares are? Would love to make this quilt , what size are the squares cut to? I love this quilt! Absolutely beautiful! I love this quilt! Can i have the pattern? What size squares did you use? Love this quilt. Do you have a pattern for sale and what did you use for backing? thanks! I saw this on pinterest and it inspired me to design my own using this awesome new quilt design website called patternjam.com It is awesome! 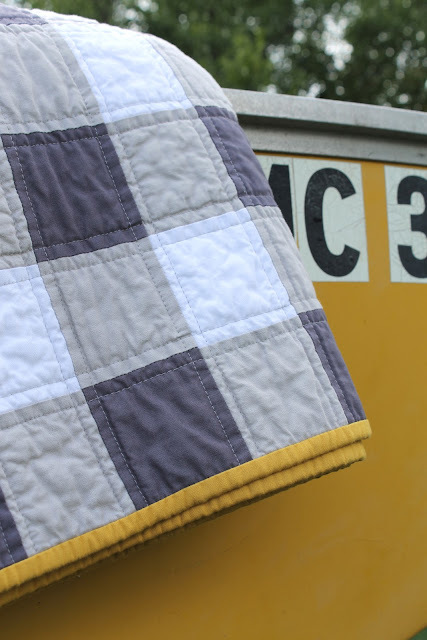 You can custom create your own quilt by choosing size of block, sashing, borders, and what type of blocks. You can choose from the material on their site or upload your own. It's so cool. 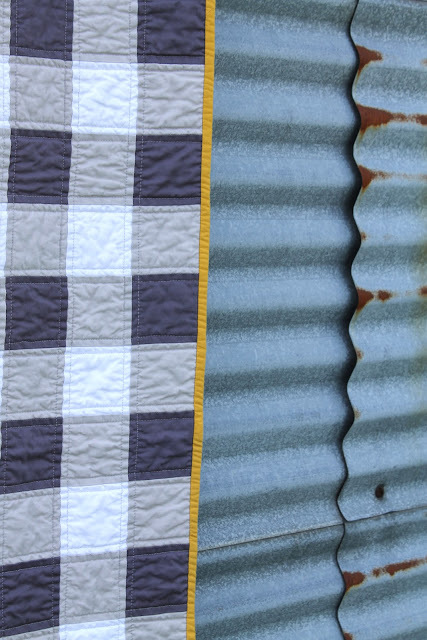 Once you are done creating your quilt it will tell you how much fabric you need of each material as well. Just had to share. Thanks for the inspiration. 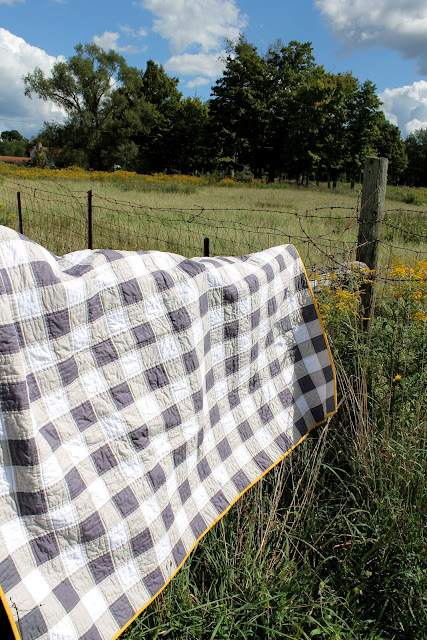 Hello - as the others before me - this is a beautiful simplistic quilt - might I be able to acquire the pattern and instructions as well. 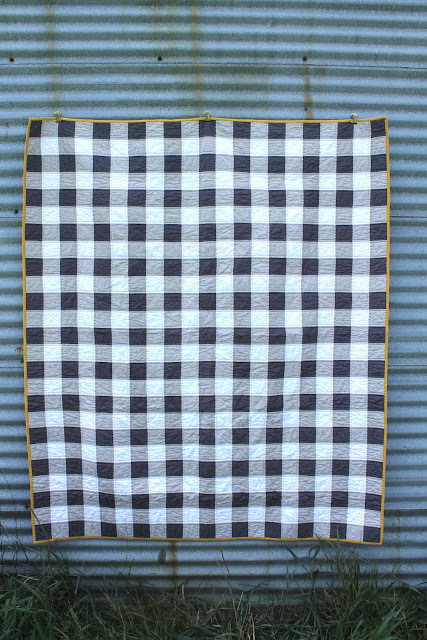 Hi, I am in love with everything gingham at the moment.. Wondering if you have a pattern to purchase or advise the size of the squares? I would love to create this quilt! I too would love patter. Beautiful!! Do you sell a pattern? Thanks! 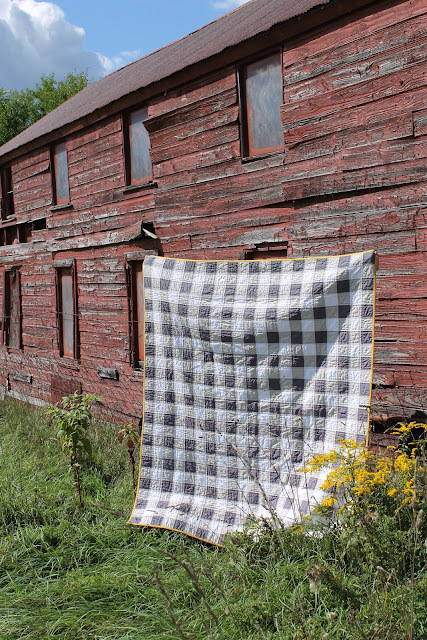 I would love to have the pattern for this quilt, in queen size please. Let me know details as I am new to blogs!! I would like to have this pattern in a queen size. What size blocks? What color did you use for the backing? My daughter sent me this picture and said I want one exactly like this one. My email address is mearwood@ymail.com. Thank you. 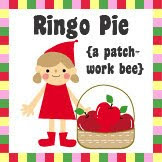 I would also love to have this pattern if you are able to share. My email is mpslayton@gmail.com Thank you so much! I would also like this pattern. My email Is funkyvonne@hotmail.com. Thank you. Beautiful! I would love to have the pattern. Are you sharing it? LOVE this quilt!! Is is possible buy a pattern? Hello, I love this pattern! Is it possible to get a copy of the pattern? I love this pattern. I am new to quilting and want to try this! Is there anyway I can purchase the pattern from you ?